This is a fairly average primer. 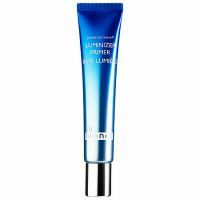 It absorbs FREAKISHLY fast which is great for immediate makeup application, but it also makes me use more product because my skin drinks it up almost immediately. My makeup laid nicely upon it and the primer did provide a relatively smooth surface for my face makeup.